We are 9 local chapters, and one of 33 recognized State Organizations of Back Country Horsemen of America. 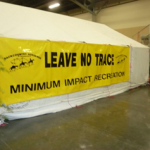 We promote and teach Leave No Trace ethics (LNT) and lobby for equestrian access in Oregon's backcountry. To perpetuate the common sense use and enjoyment of horses in America 's backcountry and wilderness. To assist the various government and private agencies in their maintenance and management of said resources. The Back Country Horsemen of Oregon, (BCHO) is a group of local men and women dedicated to the preservation of our right to the common sense use and enjoyment of pack and saddle stock in Oregon’s wilderness and backcountry. lands. Back Country Horsemen accomplishes this by attending and speaking at public meetings, writing letters, and working with our government agencies to maintain many wilderness and non-wilderness trails in the state of Oregon. Our local chapters work, with the blessing and support of the public agencies, all over the state. We provide training in LNT principals and techniques to minimize our equestrian impact on the backcountry. Each year Back Country Horsemen of Oregon does volunteer work in the state of Oregon valued at $500,000.00. Through our work we foster opportunities for every equestrian, we build credible relationships with local, regional and national federal state and city forest partners and provide lasting bonds with family, friends and our public lands. The BCHO chapters are key, through their efforts with our limited resources of time and people. Each chapter strives to keep their actions and activities relating directly to the original BCH purposes, at the same time offering family oriented events, rides and equestrian education throughout Oregon. The Annual Horse Packing and Wilderness Skills Clinic, is the best family educational equestrian event of its kind on the West Coast. It is put on every year by our largest chapter, the High Desert Trail Riders BCH the first weekend in May in Klamath Falls. The improper use of stock on public lands can have a lasting effect on our fragile backcountry; through education we encourage the wise use of these resources. The Back Country Horsemen LNT training program provides guidelines for protecting the backcountry while still taking in all its natural beauty. Leave No Trace is about preserving our privilege to use stock on public lands by learning to minimize our impacts as much as possible. Training includes: how to plan and prepare for traveling and camping with horses and mules with the least impact, how to select a durable camp site while respecting wildlife and other users. For more information about horse-oriented LNT presentations, contact our master training coordinator, education@bcho.org. 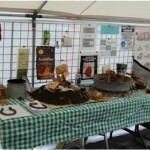 Come see the Back Country Horsemen of Oregon LNT traveling training display at one of our next events, our display demonstrates proper techniques for riding and camping in the backcountry. The BCHO Leave No Trace traveling training display demon-strates proper techniques for riding and camping in the backcountry. Become a member today, the voice of one person standing alone is not often heard. As a State and National organization, we are 16,000 members strong, working with land managers, law makers and other user groups we can help preserve the horsemen’s rights to the recreational use of stock on public lands. Back Country Horsemen of Oregon invites you to become actively involved in preserving your backcountry stock use by joining the BCHO Chapter nearest you.